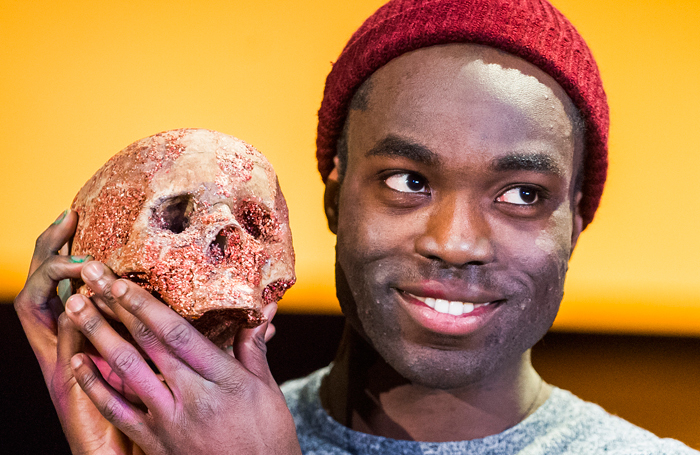 When the Royal Shakespeare Company announced late last year it had cast Paapa Essiedu to play Hamlet for its 2016 production, attention was immediately paid; that he became the first black actor to play Hamlet in the company’s history has been much discussed. The larger picture, however, is that 2016 has been a comparatively exceptional year for black actors playing Shakespeare’s tragic heroes in high-profile venues. As well as Hamlet, this year has seen black actors playing King Lear (Don Warrington, Talawa Theatre Company/Manchester Royal Exchange) and Macbeth (Ray Fearon, Shakespeare’s Globe). What the presence of black male leads highlights is the growing participation in classical theatre for ethnic minority artists (the lack of similar opportunities for women and other minority groups at this level is also glaringly obvious). The British Black and Asian Shakespeare Performance Database shows that, although progress in casting ethnic minority performers has not always been steady, it is a trend that has been visible since the early 1980s. As with so many pockets of the entertainment industry, concentration on purely the growth in numbers of diverse talent obscures some major flaws in the ways in which members of ethnic minorities are included within our arts. It is a telling statistic that Essiedu was only the seventh ethnic-minority actor to have played Hamlet in the UK since 1930 (an eighth, Raphael Sowole, is currently touring in Jeffery Kissoon’s production for Black Theatre Live). The paucity of black or Asian performers playing the role associated with the pinnacle of a classical actor’s career raises questions of how often do the major Shakespeare companies cast black, Asian and minority ethnic performers in leading roles? Looking at the historical data, advances in inclusion at this level have often stalled. One well-publicised breakout moment in integrated casting came in 1987 with Josette Simon’s Isabella in Measure for Measure (she had previously played Rosaline in Love’s Labour’s Lost in 1984). It is telling that no ethnic minority actor has since played Isabella in a major production. Granted, leading female roles in Shakespeare are not as prevalent as male, but it must be noted that Simon will have had an 18-year gap between her last Shakespeare role for the RSC in 1999 (Titania) and when she takes to the Stratford stage as Cleopatra in 2017. At Shakespeare’s Globe, Danny Sapani played Brutus in Julius Caesar in 1999 during its third season, but the theatre company has been slow to provide equal opportunity in casting for BAME performers as leads subsequently. Before Ray Fearon and Ira Mandela Siobhan (as Posthumus in Imogen, aka Cymbeline) this summer, the Globe had hired four ethnic minority actors to play leads between 2000 and 2015, one of which was for its only production of Othello to date. When you define leading roles as the largest part and/or title role in the plays (as I do here) and exclude touring and educational productions, the answer to ‘how often are actors from minority groups playing leading classical roles in our major theatres?’ is ‘not as often as may be expected in multicultural Britain’. This is particularly true given the levels of inclusion in terms of numbers of actors appearing in integrated productions since the early 1980s. There are a number of ways to look at the data stored in the British Black and Asian Shakespeare Performance Database, but if you pare it down to the main houses at the RSC and the Globe (staging roughly the same number of Shakespeare plays per year in those two theatres) and exclude their touring and educational productions (which are generally more diverse, but lack the national press and audience attention of the companies’ main stage seasons) the number is small. Over the past 16 years, there have been a total of 17 leading roles (as defined above) at the Royal Shakespeare Theatre and on the Globe’s main stage played by a black or Asian performer: 11 at the RSC and six at the Globe (see top infographic, below). Narrowing the data to what are arguably two of the elite stages in the country excludes some productions that have also provided actors such as Joseph Marcell and David Oyelowo with opportunities to play Shakespearean leads with the major companies, but the hierarchy of venues is important. This can be seen in the attention that Essiedu’s casting as Hamlet received in contrast with that of Dharmesh Patel for the same company. Patel’s 2010 Hamlet for the RSC was little noticed, although he was also that rarity in casting, an ethnic minority actor playing Shakespeare’s iconic role. The reason for this is simple: Patel performed the Dane for the RSC’s young person’s Shakespeare, an educational touring version of the play and not on the main stage of the RSC. On a positive note, broken down by date, the evidence is that the gains have been made since 2012. The bottom infographic (below) – using the same RSC and Globe productions as the first – represents the difference between the number of BAME leads cast in the two companies’ main houses between 2000 and 2011 and those since 2012, with seven leads cast in the first 11 years, but 10 in the following four. There is clearly enough BAME classical acting talent to warrant rising through the ranks as their white counterparts have done, as recent productions have proven. But the lack of black or Asian leads in significant venues is indicative of a casting bottleneck that finds few performers of colour able to rise to leading-actor status on the country’s elite stages. It is true that BAME actors are also frequently cast in medium-sized, meaty roles (Ophelia, Macduff, Banquo, Horatio, Edmund) that often allow an actor to graduate to the next step. Yet instead of moving from Horatio to Hamlet, most BAME classical actors have found themselves shut out of playing leading roles. Apart from Hamlet, Essiedu’s career to date has been a catalogue of parts that form this unofficial ‘black canon’: Romeo (the one tragedic lead that, along with Othello, actors of colour do perform with regularity), the Duke of Burgundy, Demetrius and – after Hamlet – Edmund. Recognising patterns in casting classical theatre is the key to progress – it is no longer enough that performers of colour are included in performances of Shakespeare’s plays; they must be nurtured up the casting tree. A logical step would be to cast a black or Asian classical actor as Coriolanus, Richard II or Titus Andronicus: no ethnic minority performer has yet played these three tragic heroes in the Shakespearean canon.